The other most important Paleo- anthropological site in country is konso gardula site. 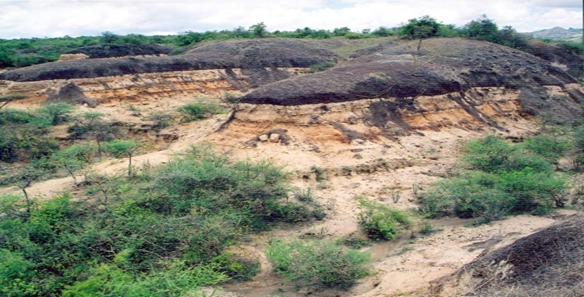 It is located in konso 580 kilometer from Addis Ababa .The site was discovered in 1991 and soon became famous for the abundant fossil remains, including the discovery of well-preserved fossil hominids including Homo erectus & austrolopiticus boisie, and the oldest Ashulean artifacts dated to 1.7 million years. Homo erectus skull fragments from Konso are found the side s& back of the brain- case are similar to the Kenyan & Tanzanian fossils. Ashulean hand axes from konso show technological changes through time-from left –right, a thick pick-like hand axes from about 1.7 million years ago and a finely made hand axes younger than 1 million years ago. konso gardula Paleo- anthropological site.